Posted December 1, 2012. Can you recover from lyme and lyme symptoms while drinking alcohol? Well for the record, I consumed no alcohol while trying to recover from lyme and lyme symptoms. I will often see people at parties lamenting their lyme disease, yet they have a drink in their hand. One women actually had an IV port and a drink in each hand. Kind of funny, but sad at the same time. Needless to say, she’s one of the ones who can’t seem to recover. She calls me and goes on and on about how awful lyme is and how awful her lyme symptoms are. I am sympathetic, but I tell her that when she gets serious about recovery, things will change. A lot of the antibiotics for lyme and even some of the herbals specify no alcohol. Here’s a doctor’s perspective. Dr. Sears: Excessive alcohol intake can harm the body’s immune system in two ways. First, it produces an overall nutritional deficiency, depriving the body of valuable immune- boosting nutrients. Second, alcohol, like sugar, consumed in excess can reduce the ability of white cells to kill germs. High doses of alcohol suppress the ability of the white blood cells to multiply, inhibit the action of killer white cells on cancer cells, and lessen the ability of macrophages to produce tumor necrosis factors. Damage to the immune system increases in proportion to the quantity of alcohol consumed. 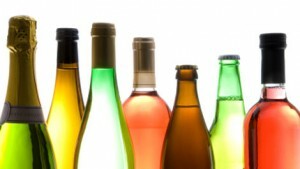 Amounts of alcohol that are enough to cause intoxication are also enough to suppress immunity. So here’s my opinion (Camille). Just take it a day at a time if no alcohol is tough for you. It doesn’t have to be forever. But give your body a chance to heal, keep those white blood cells strong so they can fight whatever is in your body making you sick. You’ll have your whole life to have a glass of wine….. Hold off for awhile to recover from lyme symptoms! 7,758 Responses to Alcohol and Lyme Symptoms?